A master bathroom should provide the homeowner with comfort and tranquility, the perfect place to start your day or unwind before bed. 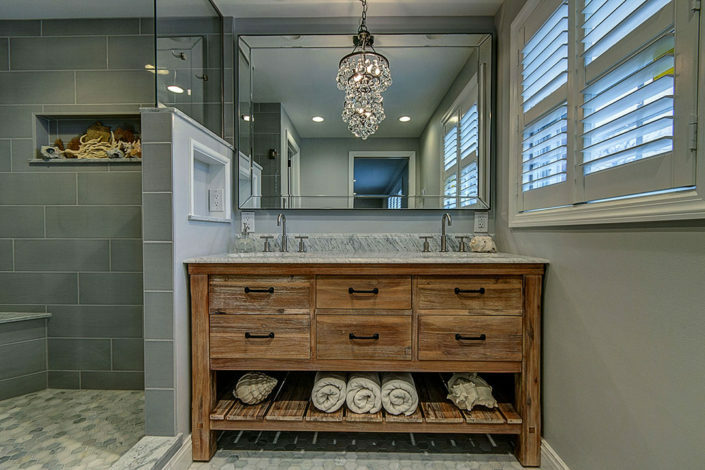 However, many older homes feature small, tight spaces for the master bath, so homeowners frequently update them. 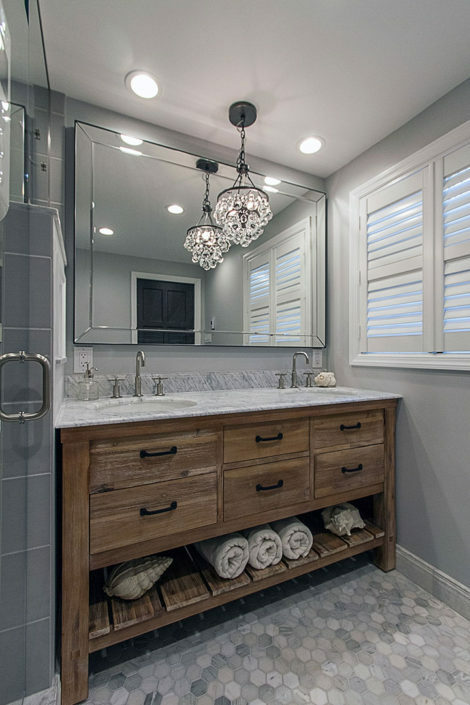 Previously, this master bath was cramped with odd closets and poor layout. The bathroom entrance was moved for better access, and the layout was optimized for flow. A double vanity was added to provide much needed counter space. 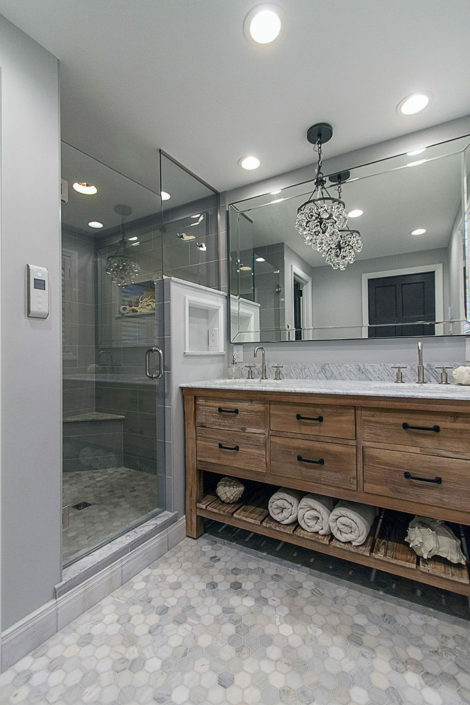 The new walk-in shower and updated finishes give the homeowner a feeling of much-deserved calm and luxury. The project was built by Pittsburgh Remodeling Company.